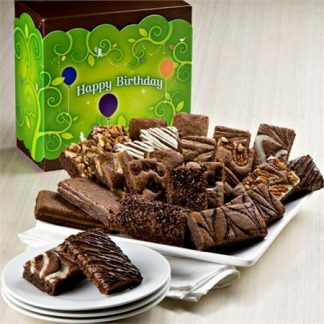 Time To Celebrate The Special Day? 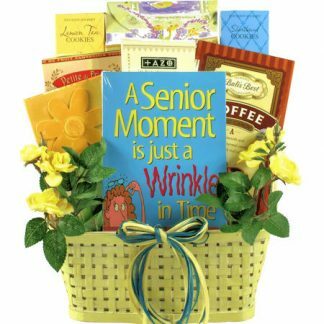 This Is A Unique Way To Celebrate! 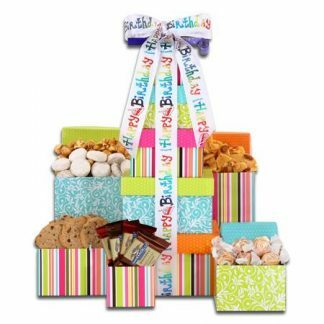 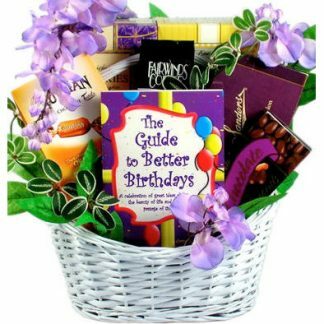 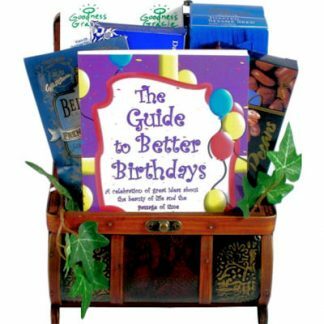 This attractive wooden trunk with etched bronze detailing arrives filled with a motivational and humorous book filled with quotes, advise and poetry titled “A Guide To Better Birthdays”, Pure Milk Chocolate covered Pecans, Crackers and gourmet Cheese Spread, Goodness Gracie Sesame Almond Cocktail Mix, Meyer Lemon Cookies, and French Vanilla gourmet Hot Cocoa!